NASHVILLE (CelebrityAccess MediaWire) -– Garth Brooks, who very publicly retired seven years ago, is holding a news conference this Saturday in Nashville. 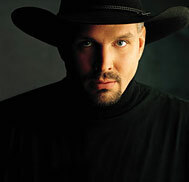 The word around Music City is that he'll be releasing new music this fall, a new three-disc boxed set entitled “The Ultimate Garth Brooks,” probably a new single in September to be followed in October by a multi-disc career retrospective box set. His plan, according to record industry sources, as management will only say stay-tuned for Saturday’s announcement, is to put the retrospective out on his Pearl Records label through Wal-Mart, as he did with two previous box sets, but also allows other retail outlets to carry the new set. Following Brooks' appearance at the Live Earth benefit concert in July, there is speculation that he may be considering more live performances in the future. When Brooks retired from recording and performing he continued to sell millions of albums through a deal with superstore Wal-Mart, which comes to an end soon. He will also be participating at an event for radio programmers in Nashville which will include the press conference with the popular singer-songwriter on August 18. A flurry of activity from Brooks has sparked rumors of a comeback and he is reportedly considering a multi-night show at one venue. His career to date consists of 70 hit singles and 15 charted albums. He has sold over 115 million albums in the US alone. The plethora of awards he has won includes two Grammy awards, a Golden Globe award and an ‘Artist of the Century (1900)’ award from the Recording Industry Association of America.